The Ryman League playoffs had provided excellent value entertainment wise in the past, last season's 4-4 draw between Bognor Regis Town and Godalming Town was followed by a decent game at Thamesmead last week. 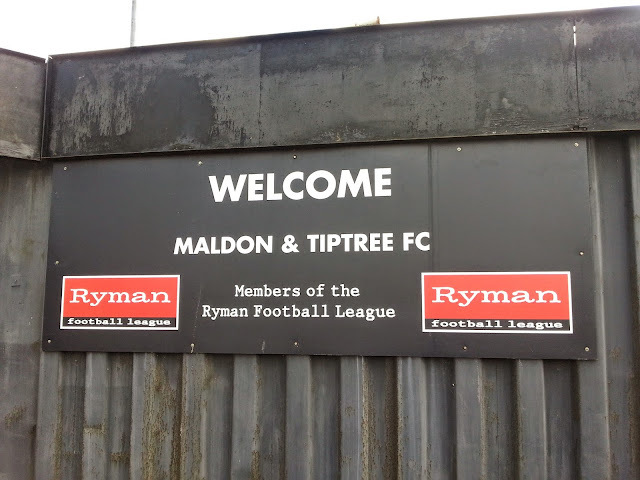 After seeing the home side play so well, I was determined to see the conclusion of their playoff saga, which would be played on a Sunday at the home of the other playoff winners, Maldon and Tiptree. They had overcome Aveley on the same night that I had watched the Thamesmead game. Maldon and Tiptree had an incredible home record - from 21 games they had won 16 and drawn 5, remaining unbeaten, so it would be a big ask for Thamesmead to pull off a result. On the day, I was working, but not as late as expected. I finished at 9.30, so I had a bit of time to chill at home before I left for the game. I was in a pretty decent mood, having the next 2 days off would bring me a much needed rest. I spent the time catching up on Facebook and my Youtube subscriptions, as well as finalising my games for this season. At present, I have 122 planned, but want to make it 125 to mark Wycombe's anniversary. Game 117 was today and it would be a landmark, matching my previous record of the same number in the 2003-04 season. That season I was mainly doing Wycombe reserves in the afternoon and AFC Wimbledon in the evenings pretty much every Wednesday, so they mounted up without me getting many new grounds in. 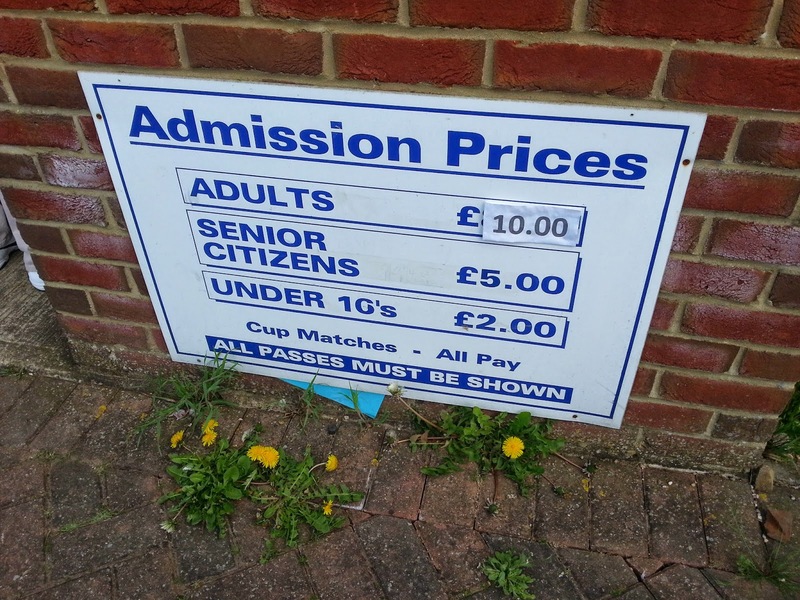 This season I was already hitting 70 plus grounds, and although it had taken me lots of time, both visiting and writing on here, as well as costing a lot of money, I had really enjoyed it. I'd met some great people and been to a lot of new places, which bought many memories. I left at around 11.15, as it took around an hour and half to get there, and I wanted to get to a pub that I had spotted on my CAMRA app. Usually the M25 was terrible, but today there were no such problems. What a shame that the roads at either end were slow, especially at the Maldon end, where they were holding their annual 'mud race' and so the roads were packed for this unique (as far as I am aware) ritual. I listened to the Non League Podcast on the way, and then BBC Radio Essex provided some comedy gold with their Sunday afternoon quiz, with some pretty daft answers. For example "Who won the 2006 Football World Cup was answered with "Manchester United", "I can't think of any countries" and "Japan" before someone got the correct answer of Italy. Along with the awful TV show TOWIE, it hardly painted a great picture of an already much maligned county. I got there about 1.30 after crawling through traffic and dumping my car in a side road. 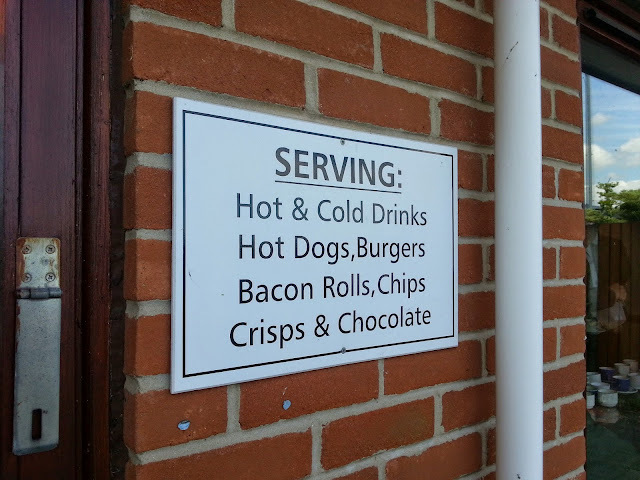 I was hoping that a local pub, the Royal Oak, would brighten up my day. Initially it didn't , with the bar man saying they only had the widely available Stowford Press on draught. But as I was leaving I spotted a poster for Sandford Orchards cider on the wall and asked did they have any. He said that he would check the delivery and bought me out 2 thirds (for free) as a sample. I bought a pint of the second one which turned out to be North Downs cider and was very nice indeed. 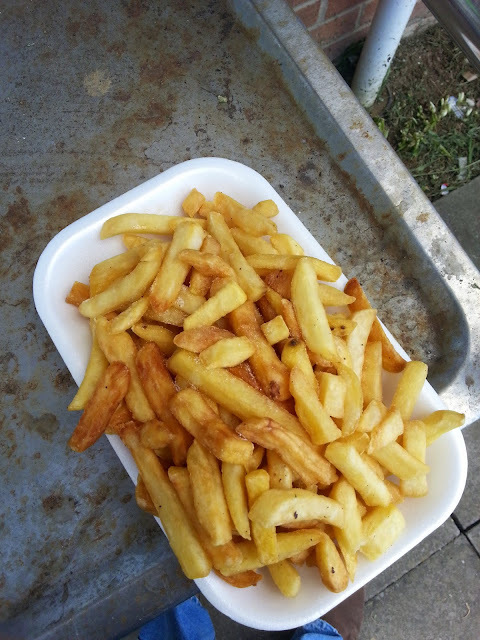 After I had drank that, it was 2.20 and I left for the ground, getting there about 2.45. 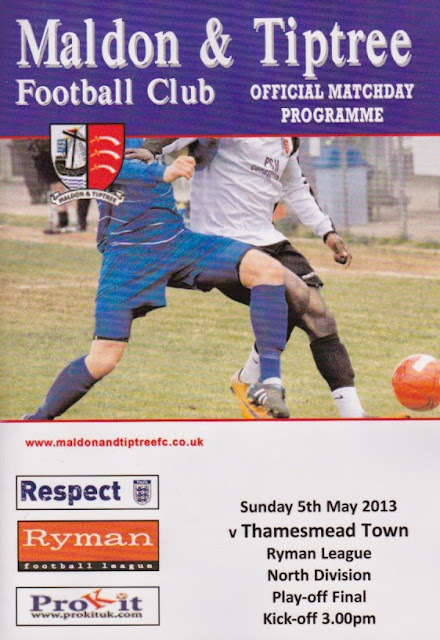 After paying £8 to get in, I bought a programme for £2 and witnessed a great match as the report from the Thamesmead site illustrates. I also captured the resulting penalty shoot out in a video. 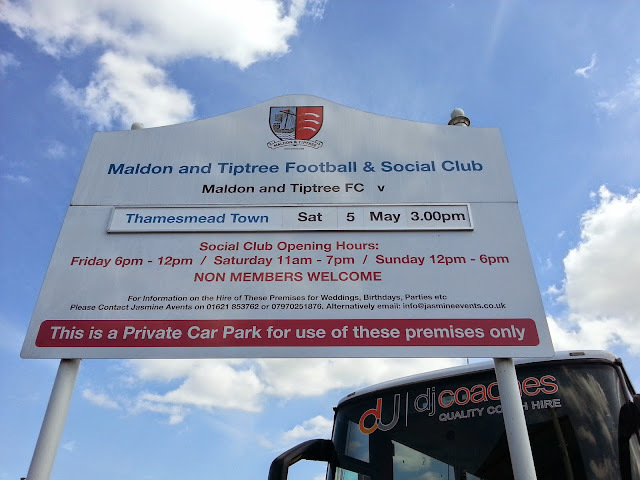 Thamesmead completed a magnificent season by battling back to beat Maldon & Tiptree on penalties this afternoon to win the Ryman North Play-Off final and achieve promotion to the Ryman Premier League next season. It all looked as it might be different as Maldon flew out of the block and were ahead after 8 mins. James Robinson got in a low cross which Ollie Berquez fired into the net past Rob Budd. It was then 2-0 to Maldon after 12 mins, when Lewis Dark weaved his way through the Mead defence, saw his shot blocked by Rob Budd, but the ball broke loose for Lee Boylan to tap in. Maldon were then pushing for a third and came close in the 27th min, when Robinson and Boylan worked space for a low cross which was just missed by an incoming Maldon player. But the Mead dug in and hit back on the half hour, when Rob Carter released Stuart Zanone and he moved forward before unleashing an unstoppable shot past Joe Wright. The Mead then drew level in the 39th min, when they were awarded a penalty for a pull on Baff Addae. Chris Edwards sent the Maldon keeper the wrong way and it was 2-2. Maldon saw Boylan shoot over and Robinson wide before we reached the interval level. The 2nd half saw very few clear chances for either side, Chris Edwards fired over from distance, Robinson saw a shot blocked for Maldon, Cawley had a header from a corner held by Budd and then Dawson shot over for the Mead, The Mead came closest to snatching a win in normal time when a corner was headed back by James Donovan and Richard Butler's header was clawed away by Joe Wright. Into extra time, and in the 1st period, Rob Budd made a fine save from a Kevin McLeod header, In the 2nd period of extra time, Tyrus Gordon-Young had a shot held and then as time ran out, Chris Edwards fired in a free kick which was heading for the top coner until Joe Wright pushed it away. So ti tcame to the dreaded penalties but the Mead were up to the job. Skipper Donovan scored, Guy scored for Maldon, Addae netted for the Mead, McLeod saw Budd save his kick, Gordon-Young netted for the Mead, and then Rob Budd saved Bowditchs effort leaving Chris Edwards to fire home for the Mead to send everyone into raptures as they achieved promotion. A 4-1 win on penalties after 2-2 draw after 120 minutes of football. After the game I had a much easier journey home. I was quite hungry but completely forgot that it was Sunday and the supermarkets closed at 4PM. So I was nearly home by the time I stopped off at Tesco Express for some cornflake clusters. I arrived home at 7.20, having enjoyed another good game. 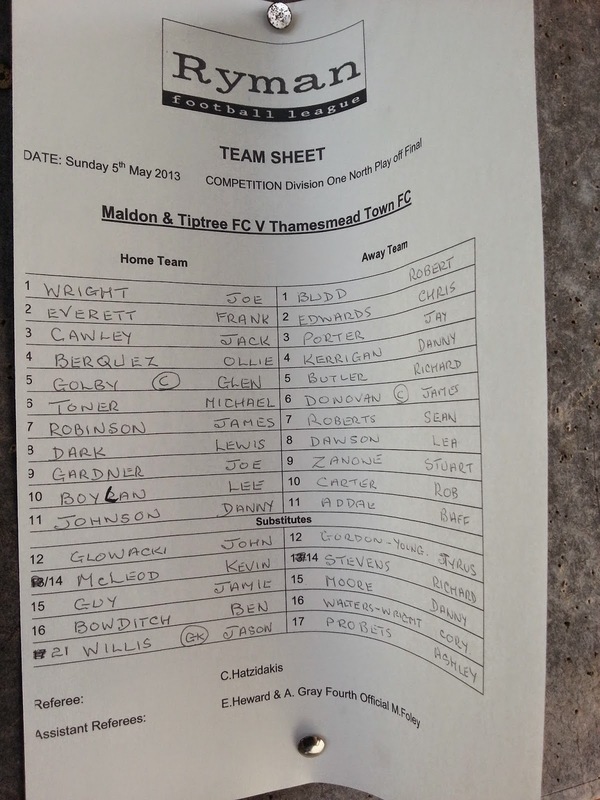 I was pleased that Thamesmead won, out of the 2 clubs that I had visited, I felt that they deserved it more. THE WALLACE BINDER STADIUM is pretty average for this level. There are 2 seated stands, one behind the goal and one along the side, seating about 450 between them. The rest of the ground hard standing, although there are grass banks around that offer a good vantage point. 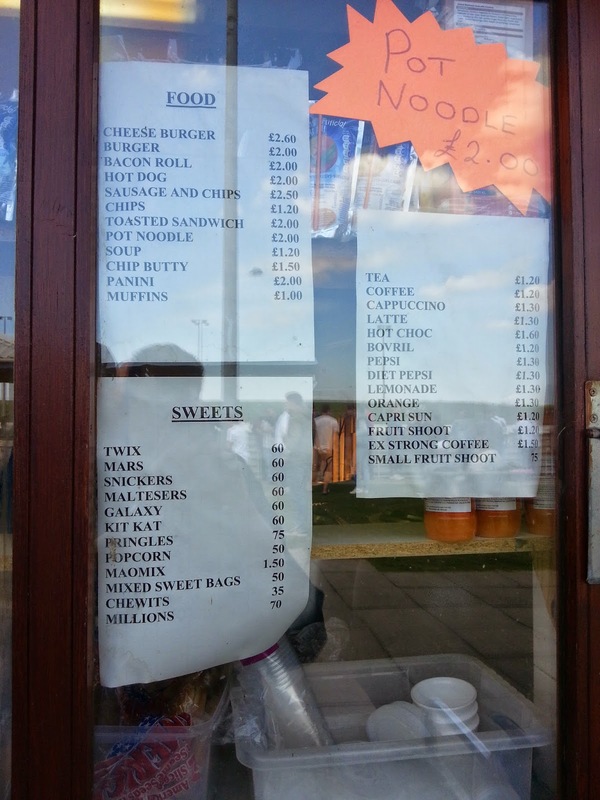 The club bar is large and has SKY TV, and they also sell a small range of souvenirs in there. As for the tea bar, the portion of chips for £1.20 was large, but not the best tasting I have had.